Since we liked Simple’s Hydrating Light Moisturizer we thought we’d also try their Facial Wash. As promised, this facial wash is non-irritating and we couldn’t really detect any fragrance. 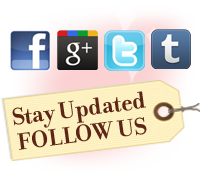 Our sensitive skin seemed calmer and clearer in about 1 week. It has a pretty good lather so it cleans your skin but doesn’t strip your skin of moisture. 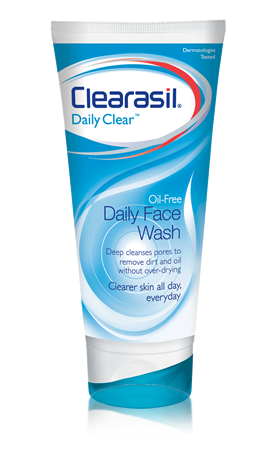 On the other hand, if your skin is extremely dry, you might want to try a creamier cleanser. What’s great about this product is that it has few active ingredients, which lessens your chances of an allergic reaction. However, we didn’t see anywhere on the packaging that it’s paraben and phthalate free. Cleansers for acne-prone skin tend to give the deepest cleaning, however they usually contain benzoyl peroxide or salicylic acid. 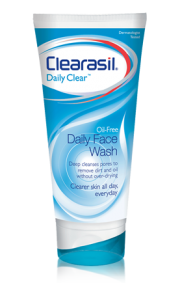 If you don’t have acne but still want a very deep clean, we recommend Clearasil DailyClear Daily Face Wash. 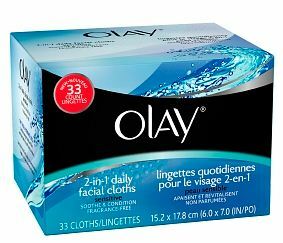 It doesn’t have acne fighting ingredients which can dry out skin, but it thoroughly gets rid of all makeup and dirt. 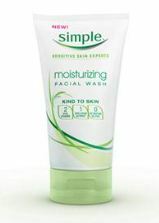 We also liked that this face wash contains glycerin and aloe, which leaves your skin soft and moisturized. Gentle cleansers are great, but for those of us who like to wear makeup the downside is that they are gentle on makeup as well. We find this product to be reminiscent of Clinique’s Rinse-Off Foaming Cleanser, which is great but costs about three times more. Have you ever tried a product and became resentful that it hadn’t been created sooner? That’s how we felt about Garnier’s Skin Renew The Brusher Gel-Cleanser. First of all, it’s fun to use! We ended up taking a much longer time to wash our face as the brush feels like a mini massage. And it’s very easy, you just squeeze the bottle slightly and the brush is loaded with the face wash. The packaging and application would win most people over, but the cleanser is actually a great formula. You get all of the foaming acting to make you feel like you’re getting a good clean, but you also get Vitamin B5, Vitamin E, and Green Leaf Extract in a cleanser that’s non-drying. Here is why we are so impressed: if you don’t have oily skin, you usually don’t get to use aggressive cleansers that make your skin feel fresh and free of makeup. This product allows someone with normal to very dry skin literally scrub their skin clean without dry patches later! 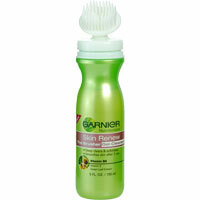 Our only hope is that Garnier never discontinues this product. Sometimes you just buy something because it looks neat. 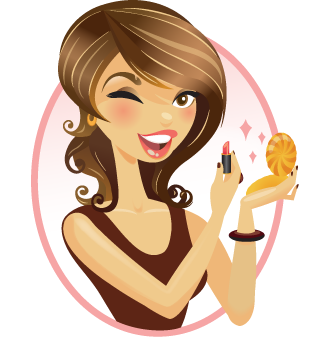 We admit that’s what we did with the L’Oreal Go 360 Clean face wash. We were enticed by the small ‘scrublet’ that fits ingeniously on the side of the bottle and all of the television and print advertising. We suspected it was fluff that the scrublet would work any better than a washcloth, but the L’Oreal’s lofty claims are actually true! 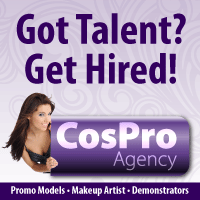 We found that using the L’Oreal Go 360 Clean removed every trace of makeup, and made our pores noticeably smaller. The scrublet is surprisingly soft and it’s gentle enough for everyday use. We tried the Deep Facial Cleanser for Sensitive Skin, but it is also available in regular Deep Facial Cleanser, Deep Exfoliating Scrub, and Deep Cream Cleanser. We’ve found that we don’t need to use a separate exfoliant when using this product on a regular basis. 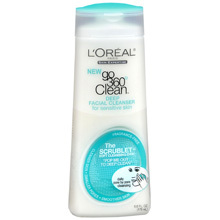 If you’d like to give it a try, make sure you go to www.lorealparisusa.com and get their $1 coupon for Go 360 Clean face wash.